Aircraft Two position Rocker Micro Switch. P/N 1TP1-21. 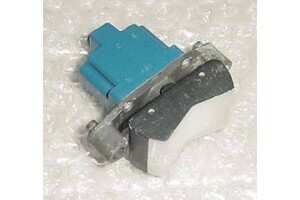 Aircraft Two position Rocker Micro Switch with 2 prongs. P/N 1TP1-21 or 1TP12-1. NSN: 5930-00-442-1172. It is used, in good condition.